THE GLOBAL nature of football and the open European market is underlined by host nation France’s squad for Euro 2016. When France kicks off the European Championship today, their squad will contain just five players that ply their trade in Ligue 1: Christoph Jallet and Samuel Umtiti of Lyon; Blaise Matuidi of PSG; Steve Mandanda of Marseille and Benoit Costil of Rennes. This development also reveals the financial opportunities available to players today. France produces good players and therefore, they are able to move across the industry. Five players is certainly a low percentage, however. France had eight of their 23-man squad from domestic football for their 2014 World Cup squad. 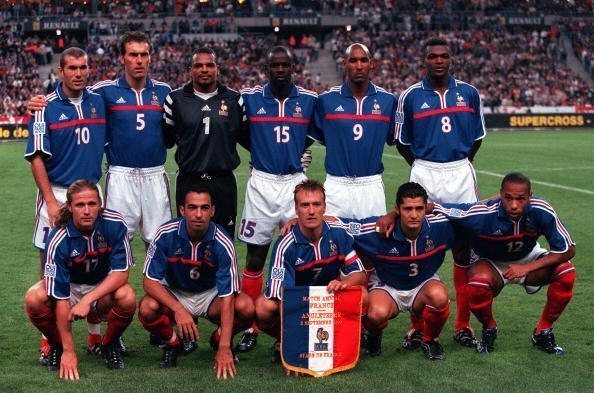 If you go back to 1998, when France won the World Cup, Les Bleus comprised 10 home-based players in their squad of 22. Prior to this, most countries still had largely home-based players – the 1984 French team that won the Euros – again on French soil – comprised 19 from French clubs. Today, French players are nearly as portable as Brazilians and two of their prized assets, Paul Pogba and Antoine Griezmann, are currently employed in Italy and Spain respectively. The Euros may be the catalyst for both to move on. Quite telling is that in an era when France has its first European power of a club for the first time in years, only one member of the squad, Matuidi, comes from Paris St. Germain. According to Football Benchmark, France’s total of only five home-based players is out of sync with the other top five nations in Europe. England, the highest wage-paying country, has 23 squad members playing in domestic football, Italy has 18, Spain 14 and Germany 13. Football Benchmark’s research suggests that there is a strong correlation between the level of wages and the number of national team players coming from that country’s league. The top four – England (EUR 114m), Germany (EUR 63.2m), Italy (EUR 62) and Spain (EUR 56m) account for 61% of the aggregate average wages of the 24 finalists in Euro 2016. France’s average is EUR 48m. There is a huge difference between the wage levels of the top nations and the rest. After the “big five”, Russia comes next with an average wage bill per club of EUR 37.4m and Turkey on EUR 25.2m. The remaining 17 countries are way behind, with Switzerland eighth on EUR 13.4m per club. Interestingly, the five Euro debutants: Albania, Slovakia, Northern Ireland, Wales and Iceland; have an aggregate average wage of EUR 2.6m, almost 50 times less than the English Premier League and 25 times less than both the Bundesliga and Serie A. When Germany won Euro 1996, only two of their 23 squad members did not play in the Bundesliga. France had 7 of 22 playing in domestic football in 2000, Greece’s underdogs comprised 15 playing in their own country, Spain had five ex-pats in their squad in 2008 and four in 2012. Football Benchmark’s paper confirms that talent continues to gravitate towards money in football and only the wealthiest leagues can retain their top players. That said, the stats also hint that England, for example, may be short of players who have genuine global value, although why would they want to move when they are playing in the highest paying league in the world? There is another consideration – English players have always had trouble assimilating. Italy, for example, “was like a foreign country”, for Ian Rush (admittedly Welsh but from an English club). If Britain leaves the European Union, that could certainly be the case! Previous Entry Euro 2016: A boost for France? Maybe on the field.